Technological advances make it possible for us to know more about human behavior than ever before. By harnessing one of the most powerful behavior-tracking tools now available, eye-tracking, we are able to discern minute aspects of constituent behavior that earlier had been impossible to uncover. The purpose of this study is to help Members of Congress communicate more effectively with their constituents by acting upon lessons learned as a result of the eye-tracking research described in this report. 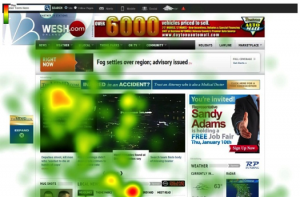 For those not familiar with it, eye tracking is a combined software and hardware application designed to capture the conscious and unconscious eye gaze movements of a respondent. This technology enables us to know what, when, for how long, and in what order information is absorbed and processed by a study respondent. 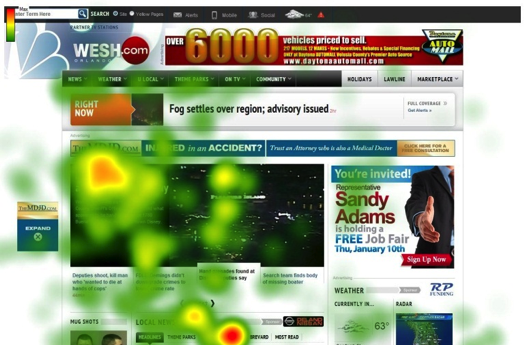 Eye tracking was used to study how constituents view Congressional official online advertising on the web, glossy franked mail, websites, and e-newsletters. Online advertising specifically designed for hand-held devices was not tested because at the time of the study it was not allowed under House Administration rules. Having a better understanding of how constituents interact with these forms of media will help Members know what is working, what is not working, and what improvements to make in their communications. Following the key findings, this report concludes with a list of recommendations to improve the effectiveness of official websites, printed mail, and e-newsletters by Members of Congress. This is the latest of the Congressional Institute’s study on improving communication between Congress and its constituents. Follow these links for our reports on: mastering official online advertising, the effective use of snail mail in the e-mail age, using e-newsletters to reach constituents, harnessing new communications technologies, Congressional Facebook pages, Congressional website and e-newsletter design, Congressional tele-town hall meetings.